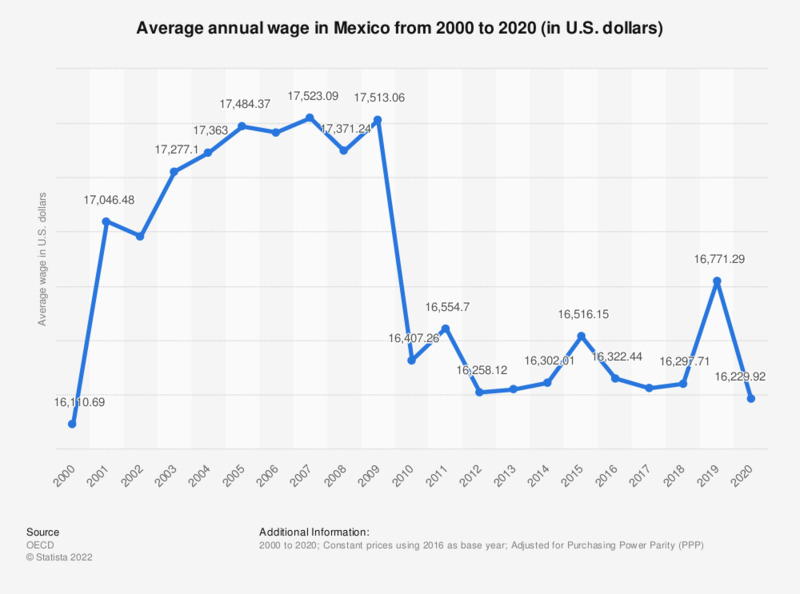 This statistic depicts the average annual wage in Mexico from 2000 to 2017. Figures are in constant prices using 2016 as base year. In 2017, the average wage in Mexico amounted to 15,314 U.S. dollars per year, slightly up from 15,311 a year earlier. The source does not provide an exact publication date. The date given is the date of access.